Last month’s World Immunization Week, titled , again highlighted the collective action needed to ensure that every person is protected from vaccine-preventable diseases and encourage people at every level – from donors to the general public – to go further in their efforts to increase immunization coverage for the greater good. To coincide with the week’s events, Pharm Exec spoke to Thomas Cueni, director general of the (IFPMA) and chair of the , about the critical importance of vaccines in the fight against antimicrobial resistance (AMR) and the Alliance’s work in mobilizing industry efforts to tackle this global health priority. When trying to reduce antimicrobial resistance, how can vaccines help? • They reduce the use of antibiotics by preventing bacterial infections before they occur, thus removing any need to treat the infection. Increasing access to vaccines such as pneumococcal and meningococcal conjugate can decrease infection rates and consequently antibiotic use. • They reduce the prevalence of viral infections, which are often inappropriately treated with antibiotics and can give rise to secondary infections requiring antibiotic treatment. Immunization against viral influenza, for example, can reduce antibiotic use by as much as 64% in vaccinated individuals. • They reduce the number of infections in the population through direct protection of vaccinated individuals and by reducing carriage (the infection of an individual without causing symptoms), thus limiting the spread of infections within a community (herd immunity). • They limit the spread of AMR organisms within communities by reducing the volume of visits to points of care, especially hospitals, which can often be a source of infection. What needs to be done so that immunization can help reduce antimicrobial resistance (AMR)? Vaccines can be utilized in the fight against AMR in three ways. First, current vaccination efforts through need to be encouraged and universal access to existing vaccines needs to be expanded. Global health efforts under way to eradicate smallpox show that this is a feasible prospect. Second, immunization programs need to be offered to children and adults alike as part of a to preventing disease – one that stresses the importance of vaccination at all stages of life to ward off illness. Adult immunization programs provide a cost-effective approach to promoting health and wellness in older populations and in people with underlying health problems. Third, the life science industry needs to prioritize the R&D of new vaccines – especially for diseases that pose the biggest threat of drug resistance (the World Health Organization has a of antibiotic-resistant bacteria). There are scientific and commercial challenges in developing new vaccines and more public and private investment, as well as economic and regulatory incentives, is required to overcome these hurdles. How much of an impact does immunization have today in terms of slowing the antibiotic resistance? Are vaccines used enough to have an impact on slowing down resistance to antibiotics? No: a study published in The Lancet  has estimated that universal coverage of the pneumococcal vaccine could prevent 11.4 million days of antibiotic use per year in children aged under five while increased immunisation coverage with the rotavirus vaccine could help reduce the over use of antibiotics to treat diarrhoeal disease. What AMR-relevant vaccines are currently in the life-science industry’s pipeline? Is there enough R&D in this area considering the scale of the AMR challenge? What is the role of the life science industry and more specifically the new AMR Industry Alliance in terms of vaccines and reducing antimicrobial resistance? The Alliance is an industry initiative bringing together over 100 companies from different sectors such as biotech, diagnostics, generics and R&D pharma that pledge to deliver on specific . A key pledge is to foster innovative approaches to using alternatives to antimicrobials and new technologies for diagnosis and vaccines. The Alliance calls for an integrated deployment of vaccines and medicines, diagnostics, antibiotics and other therapies to address the multiple challenges across the continuum of care – from prevention, monitoring and screening to treatment. While AMR has been top of the global health policy agenda now for some years, has there been enough action and in your opinion what more needs to be done so that vaccines can make a bigger contribution to reducing AMR? 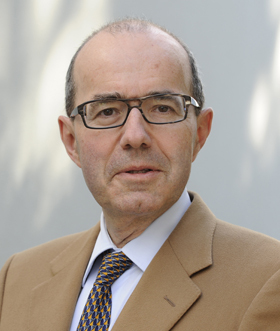 Thomas Cueni is chair of the and director general of the (IFPMA).